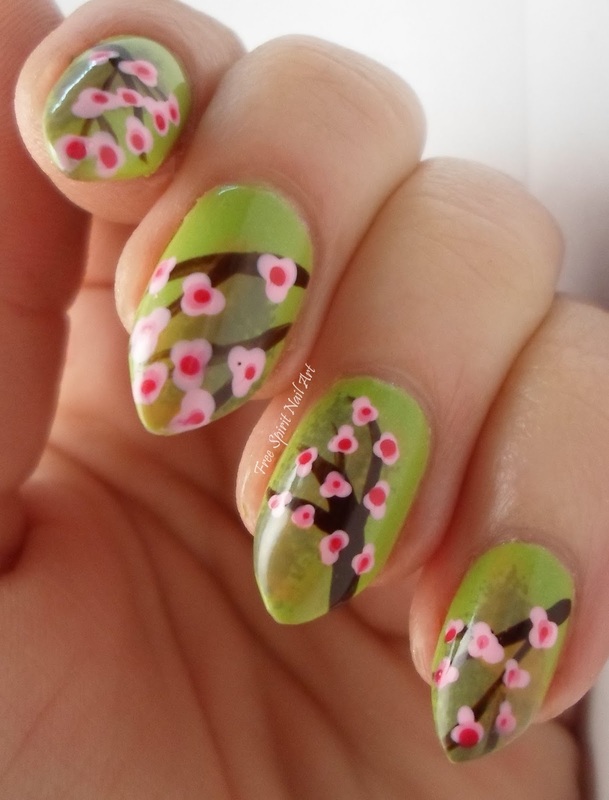 Hello my fellow nail art fans! 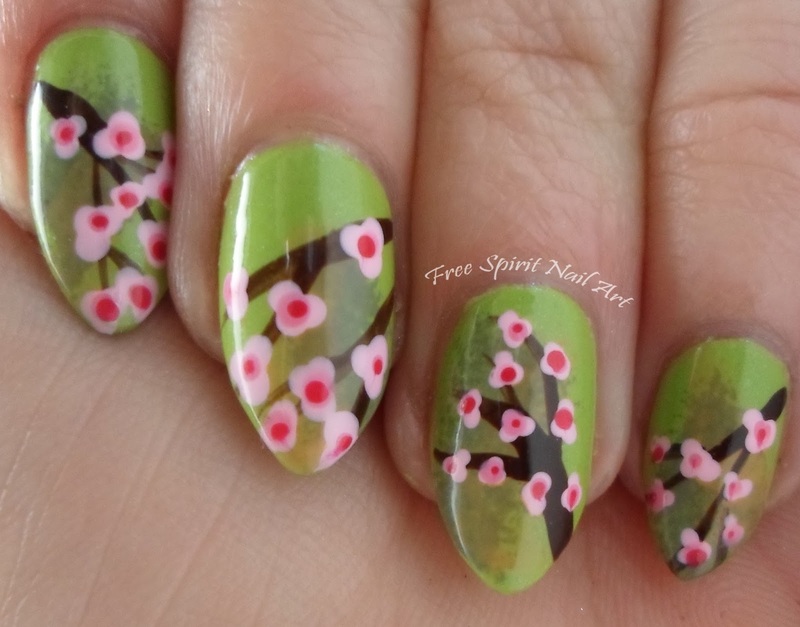 I am sharing with you a cherry blossom mani I did on a green background. I think it turned out really excellent and am quite pleased with my new nail shape. 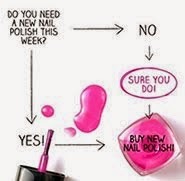 I definitely feel girly-er wearing nails with pointed tips. 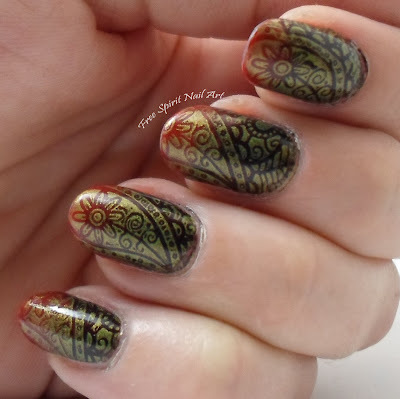 I started with a base coat of Pro-FX then did one coat of Sinful Colors Curry Up on each nail. 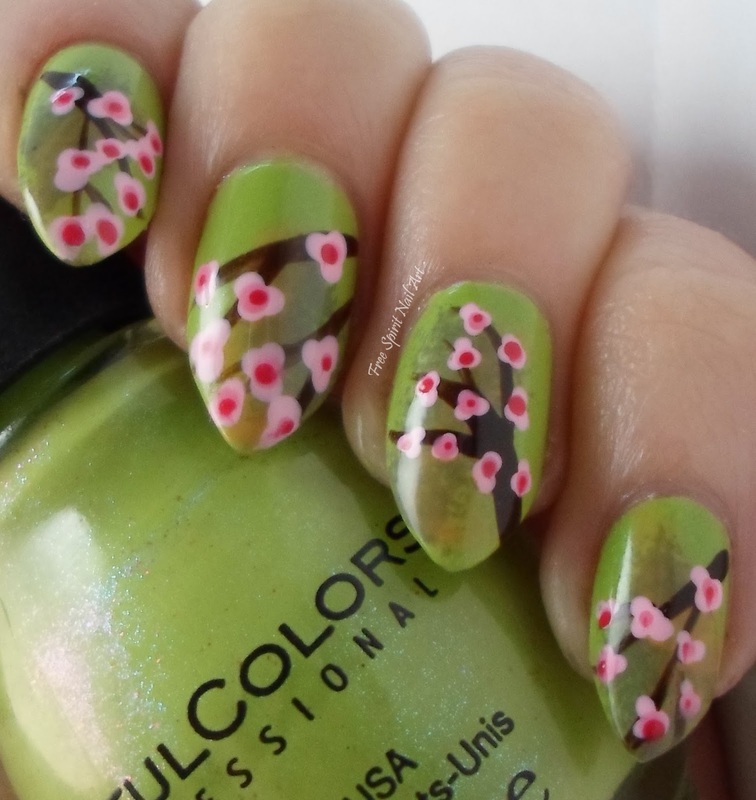 After that I used a makeup sponge to sponge on a darker green and a yellow to give the background some depth to it. The colors are Sinful Colors Beau Khaki (green) and On the Bright Side (yellow). The branches are done with Sinful Colors Coffee and a striping brush. 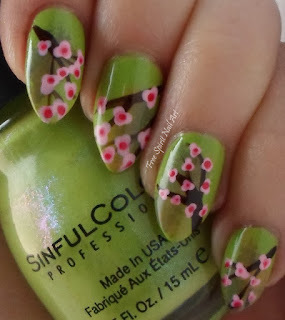 I then used a dotting tool to make the flowers using Sinful Colors Snow Me White, Sinful Colors Cotton Candy, Zoya Livingston and Zoya Kirtridge. I sealed it all with my usual top coat of Seche Vite. I really like how this turned out especially the background. It takes time to do layers but the payoff is worth it! I haven't poked my eye out yet and have only stabbed my love a few times. He says the back scratches make up for it so I'm keeping them for awhile at least. Thanks for looking and share it if you like it!